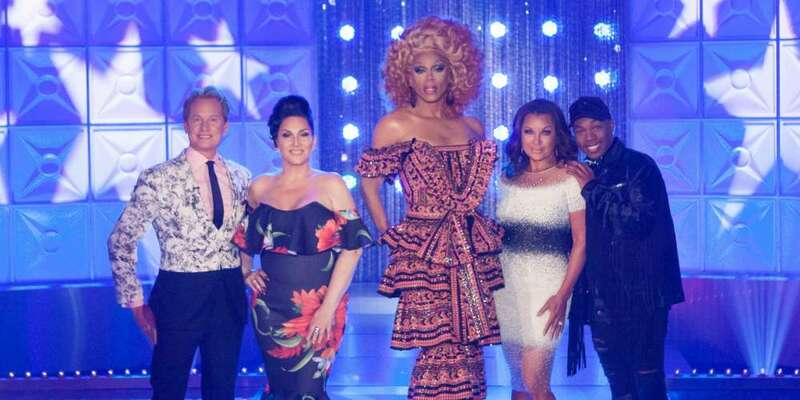 After Morgan McMichaels sashayed away last week, the All Stars 3 divas were given the challenge of emobodying a gay icon on the stage of the VH1 Divas Live concert. 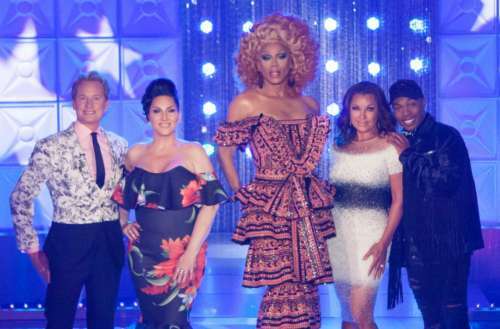 With gay icon Vanessa Williams judging, the stakes were high as the inner saboteurs of some queens came out with a vengeance, while the emancipation of another was in full view. In this weekly Ru-cap, we break down All Stars 3 Episode 2 read by read, lash by lash. Yes, there are spoilers ahead. From the very beginning of the episode we could tell that the protagonist of All Stars 3 Episode 2 would be Thorgy … against (who else?) herself. Just like what happened in Season 7, Thorgy’s biggest competition wasn’t Bob The Drag Queen — it was her own self-doubt. From the get go of this week’s episode, Thorgy lamented her assignment of Stevie Nicks, which no doubt was handed to them in plenty of time before stepping foot on the All Stars 3 sound stage. “It’s really not fair. There’s no way because I’m Stevie that I’m ever gonna win this,” she said. Shangela got into character real quick when she stepped into the shoes of Mariah Carey. This burned some of the other queens, especially Milk, who began to bite back at Shangela’s diva-like behavior. Throughout the episode we watched a rivalry between the queens, making for some real dramatic (and real good) television. Milk as Celine Dion: Who remembers that Met Gala look? Kennedy as Janet Jackson: Know your words. Who are you, Valentina? Aja as Amy Winehouse: Lip sync was on point and, oh, hey there, Pit Crew! Chi Chi as Patti Labelle: Perfection. Trixie as Dolly Parton: Honestly, too good. Shangela as Mariah Carey: The shadiest and the best, but also probably the best material to begin with, right? Thorgy as Stevie Nicks: You’re doing this all wrong. BenDe as Julie Andrews: Flawless. Bebe as Diana Ross: Boring other than the hair bounce. The queens were given a chance to slay a runway look that was previously a fashion fail for them. Aja’s look really proved that between last season and this one she has experienced a huge growth spurt that makes her deserving of her All Stars casting. Shangela’s “bubble boy” moment was gag-worthy. Trixie’s ugly dress this time was really, really ugly. Bebe’s all-black executive realness look was underwhelming, Chi Chi’s wig was straight out of a plastic bag from Party City. Thorgy was a step in the right direction but still had a long way to go. In the end, the top two — Shangela and BenDeLaCreme — had the opportunity to lip sync it out for the chance to eliminate one of their sisters. Performing to “Jump” by The Pointer Sisters, the pair did a phenomenal job of lip syncing for their legacy. BenDe (again) took the comedy approach, while Shangela’s performance was a frenetic mix of comedy, choreo and jumproping. In the end, Shangela’s range won over BenDe’s brand. If she keeps winning, BenDe is going to have to pull out some new tricks during these lip syncs to keep the audience on its high heels. Milk’s over-the-top emotions over being just safe were pretty ludicrous. Honestly, we think he should have been in the bottom, as his Celine performance was forgettable and his look was boring. Being safe wasn’t good enough for him, so he chose to have a diva fit on the runway — and backstage, where the queens rolled their eyes at his sore-loser moment. To quote W Magazine, “Milk came off tonight like what Baby Boomers imagine a stereotypical Millennial is.” LOL! We’re impressed with BenDe being in the top two for two weeks in a row already. So we have a feeling she will go far. Again, Trixie is likely to have smooth sailing until the end. Another contender for that top third spot could be Bebe, as she seems to be a favorite of mother Ru and the judges. Didn’t like something you read about All Stars 3 Episode 2? Don’t just sit there. Tell us! Sound off in the comments below and on Facebook.